Traveling with my nephews and nieces has been so wonderful – we’ve gone with and without parents to Florida, to San Diego, on cruises, short trips to the Ozarks or to Branson, or to Topeka (inside joke), to New York and Chicago, through the Rockies and more. All of them are excellent traveling companions and we truly have had fantastic adventures together. 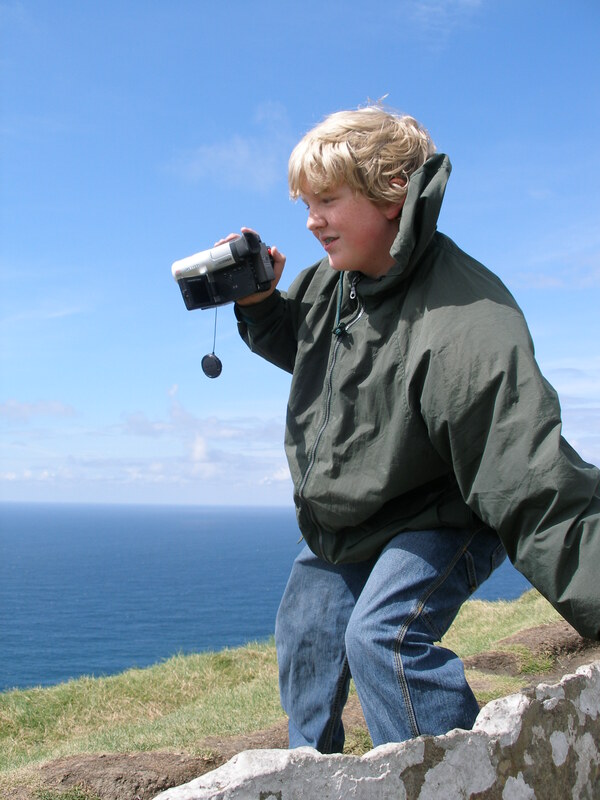 In 2005, I did the first foreign country trip solo with one of my nephews/nieces without their parents – to Ireland with Ian. My Mom and I had gone in 1998, and had a fabulous time, and Ian has always been our Irishman, appreciating his ancestry so much. 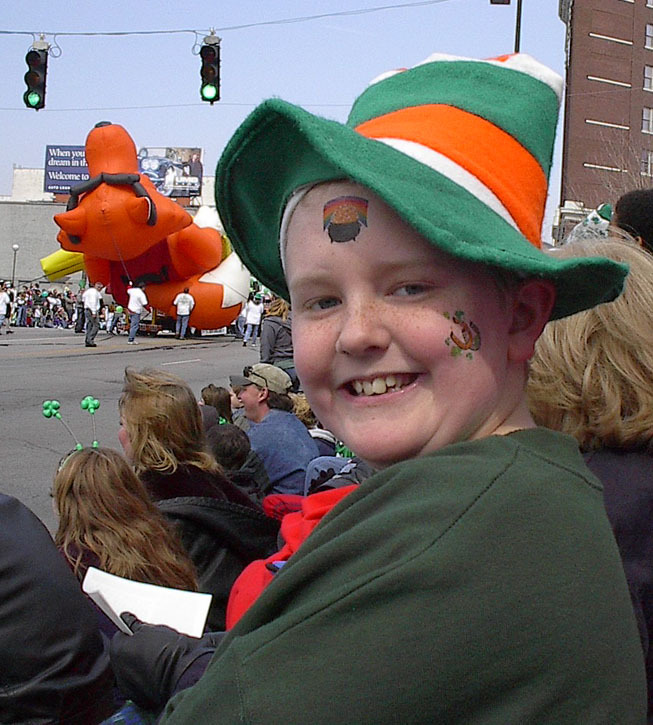 He loved going to St. Patrick’s Day parades, and can sing all the verses from “Danny Boy” a capella. So on the occasion of his 8th grade graduation, we (Ian, my Mom and myself) went to Ireland for 10 days. We flew to Dublin and oh how he instantly flourished as a young man before my eyes! He loved to read and write fiction, and of course Dublin was a haven for him. He couldn’t fill his journal fast enough. The city was beautiful and quite cosmopolitan, and we did all the sites from going to St. Patrick’s Cathedral and Trinity College to visiting the Guinness factory and retracing the streets that inspired James Joyce. After 4 days, our plan was to take the train west to Limerick, and then we were going to stay at Adare Manor for the rest of our trip. But we found out hiring a driver to take us there cost the same, and would be far more scenic. So we drove across the beautiful Irish countryside, while Ian sat in the front talking to the driver the entire way. My mom and I have so many wonderful memories of our trip to Ireland with Ian. I could write on and on about the places we went and the people we met. During that trip I literally saw Ian grow up from a boy to a young man brimming with wanderlust, ready to start high school, already thinking about college and his life ahead. We talked about so many things as we walked the trail, watching the Atlantic ocean crashing into the edge of this marvelous country. Graham Greene wrote that “there is always a moment in childhood when the door opens and lets the future in.” I believe that door opened for Ian in Ireland, at least a bit or a little further. Because like what is all of Ireland he experienced the soul’s yearnings, the happiest of hearts, the enchantment of the past and the hope for the future. Sheree, I feel like I am the one enjoying each experience with you and your family when I read one of your stories. A price tag cannot be put on memories and it seems like you and your family are very fortunate to have shared so many with your loved ones. You should write a book! Thank you Diana for you wonderful comments. I’m so glad my experiences with my family, especially my wonderful nieces and nephews can be shared as they are very special. I’m very happy that you are enjoying them. I appreciate your encouragement and appreciate you subscribing to the blog! What a wonderful aunt & sister you are! Thank you Tim, I have pretty special “subject mattter” to write about!